Home > Ask Our Experts > Declaring Bankruptcy: What do I do? I have £51,000 debts in the UK and £4000 in Cyprus. I live at present in Cyprus and have done so for two years. I rent the accomodation at present and have no assets of note. How can I go bankrupt as these debts are way over my ability to settle. Do I have to go back to the UK to sort this out? The realisation that bankruptcy is the only option can be a difficult one. 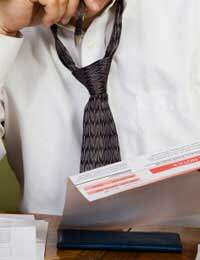 Many people struggle with debts that they are incapable of paying off, because they cannot face the perceived shame of declaring bankruptcy. However, in today's climate more and more people are becoming bankrupt. It would appear that you are aware of the realities of your situation and are prepared to go through the process of becoming bankrupt, and this is to be commended. Your situation is complicated by the fact that you live abroad. Bankruptcy laws are complex, and is frequently difficult regarding petitions for bankruptcy that come from overseas. However, the process is made easier in certain cases. If you are currently resident in an EU member state (of which Cyprus is one), you can make a petition to your local Court for bankruptcy in the UK. You must be able to show that your 'centre of main interests' is in the UK. The concept of 'centre of main interests' is established in the EC Regulation on Insolvency Proceedings 2000, but there is no absolute definition of the term. Each court will deal with this differently, but in general it will rule that the centre of main interests is the place in which you work, or from which you derive the bulk of your income. You have not mentioned whether or not you are employed. If you are employed in Cyprus, the court may rule that Cyprus is your centre of main interests. Similarly, if you are not currently employed, the Court will take into account your place of normal residence when the petition is made. In most cases, you should present your petition to a British court. Indeed, guidance suggests that you will be expected to do so if possible. However, it is possible to appoint an agent to make the petition on your behalf, meaning that you will probably not be required to travel. You should remember that, if you are appointing an agent to deal with your bankruptcy proceedings, you may have to grant them power of attorney. You should ensure that you seek relevant legal advice if this is the case.